Sometimes, it seems like there is a jinx on it. You only drink one, two glasses of wine with good friends, and promptly the next morning, you get punished with a sore head – despite the fact that you ate well and consumed everything in moderation! And your friends? They were jogging at 7 a.m. and feel as fit as a fiddle. What happened? How can it be? 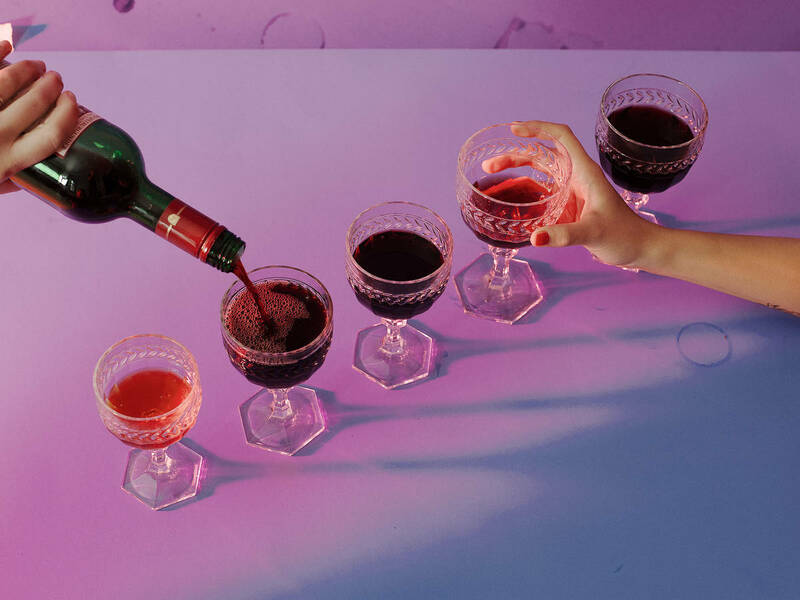 Let’s take a deeper look at 5 wine myths and reveal the truth behind them. Myth # 1: " Wine before beer, give good cheer; beer before wine, you'll repine." I've heard this one so many times, but I'm always confused about what I can drink first. Historians refer to the Middle Ages, when wine was still the drink of the upper class, and the change from wine to beer equaled a social descent. The fact is: The order of drinks does not matter, but it’s best if you don’t mix. So better: "Beer on beer and wine on wine!" Vintners understand that the addition of sulphurous acid (i.e. sulfites) prevents the formation of harmful bacteria in the wine and oxidizes it, thus changing its color. And while sulfites can be problematic for asthmatics—since allergic reactions such as headaches and an increase in asthma can occur— the amount of sulfites in wine is so low that for most healthy people, it doesn’t cause health problems. The fact is: If you don‘t suffer from asthma, sulfites have little to do with your hangover the next day. Myth # 3: "One glass of red wine a day is healthy!" According to Professor Andreas Pfeiffer (Head of Medical Clinic for Endocrinology and Metabolic Medicine at Charité Berlin Campus Benjamin Franklin), basically, this is true. Moderate consumption of red wine reduces the incidence of heart attacks and the risk of diabetes. For women, 10 to 20 grams of alcohol per day are considered as moderate (equivalent to 0.2 liters of wine), and for men, it‘s up to 30 grams of alcohol. The circulation enhancing effect is attributed to the tannins, also known as tannic acid. Tannins protect the grapevines against natural enemies and are contained in shells, cores, and stems of the grapes—mainly in red wine. But before you head to your trusted wine maker, to buy tannin-rich wine, we have to mention the negative effects of tannins. They can cause gastric and intestinal discomfort, strengthen a diagnosed iron deficiency, and, in sensitive people, actually lead to headaches. The fact is: If you get headaches by a small sip of red wine, just try a grape like Pinot Noir next time, which contains only a small amount of tannins, or switch to a white wine. Myth # 4: "I do not tolerate red wine, I think I've become allergic!" When it comes to an intolerance of red wine, experts and researchers are now quite in agreement: It is mostly due to histamines. Histamines are protein degradation products and natural ingredients of many foods, e.g. ripened cheese, citrus fruits, sauerkraut, and wine. Anyone suffering from histamine intolerance usually already feels the symptoms by consuming small amounts of red wine, such as headaches, skin redness, itching and nausea. Since the histamine intake from liquids is much faster and more concentrated, and the alcohol makes the intestinal wall more permeable, the consumption of red wine favors the absorption of histamine. The fact is: If you feel the aforementioned symptoms right after drinking a glass of red wine, a histamine intolerance is likely. In this case, the renunciation or a drastic reduction of histamine-rich foods can help. Also, the additional intake of vitamin C, vitamin B6, or antihistamine can help, but should first be clarified with a doctor. Myth # 5: "A glass of water, a glass of wine." The most common cause for your hangover is the alcohol in the wine. Alcohol is a cell poison and has a dehydrating effect on the body. And, it not dehydrates your body, but also contains minerals that lead (who would have guessed) to headaches the next day. The fact is: To prevent a hangover, it actually helps to drink a lot of water (at least one glass of still water per hour) and to enjoy alcohol only in moderation. Still Had a Drop Too Much? Electrolyte-containing foods, such as the infamous pickled herring, tomato juice with salt, and sodium- and magnesium-rich water, will replenish your mineral balance. Also, foods high in protein such as salmon, fresh cheese, and chicken contain many amino acids that regenerate your liver. Hands-off hair of the dog drinks, since these only strain your weakened body. Better go out in the fresh air—physical activity always helps! Do you believe in wine myths or do you have other anti-hangover tips? Share your tips and thoughts in the comments below! Do Eggs Really Need to Be Stored in the Fridge? Organic, Non-GMO, or GMO: What Does It All Mean? Is MSG as Bad as You Think?